Employers are increasingly looking for work-ready graduates with an in-depth understanding of the global economy and the skills to operate in an international business environment. Global organisations need experts who have a good understanding of business in their own local markets and can develop effective international business strategies. Our Business with International Management programme equips you with a solid grounding in international business in a global context. A typical offer is 80-96 tariff points from at least two A levels (or equivalent) and GCSE, grade 4 (grade C) or equivalent in English and maths. Our staff use their extensive business connections to provide many and varied opportunities to engage with potential employers through fairs, guest lecture sessions, live projects and site visits. In addition we offer a series of workshops and events in the first, second and third year that ensure all students are equipped with both degree level subject knowledge plus the practical skills that employers are looking for in new graduate recruits. We also offer extensive support for students to find and secure industry-year placements which have been shown to make have significant positive impact on a student’s career prospects on graduation. Mario is an associate at Ernst & Young working in financial services. 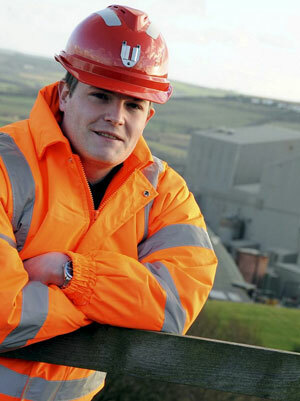 Thomas completed a placement year with Cleveland Potash Ltd.